Corticosteroid injections (CSI) have been shown to have beneficial effects on a variety of inflammatory and painful musculoskeletal conditions. This does not mean that every patient should receive a CSI for every complaint. Research does demonstrate positive outcomes with minimal side effects for many musculoskeletal conditions commonly treated with CSI. Patients with osteoarthritis, probably the most common reason patients may seek or be recommended an intra-articular CSI, have been shown to respond positively, especially in the short-term. For patients who are unwilling or unable to undergo joint replacement or other treatment options, CSI should remain a viable part of the treatment plan for osteoarthritis. Chronic tendinopathy is another area where CSI has been shown to have benefits, but should be reserved for those patients who do not respond to other conservative treatment options. Providers need to have a solid grasp of the anatomy for any area to be injected and should counsel patients about the benefits and possible side effects. Special populations, such as diabetics, need to be approached with caution, but with proper patient education and follow-up, CSI can be used safely and effectively. To gain a better understanding of osteoarthritis and appropriate treatment options along with the use of corticosteroid injections for specific musculoskeletal complaints, come see my presentations at the conferences in Destin, Orlando or Pensacola Beach this summer and fall. 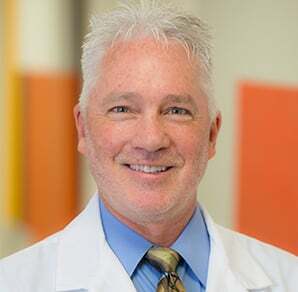 See Larry Collins, PA-C, ATC speak in 2018 at a Skin, Bones, Hearts & Private Parts conference in Destin, Orlando, or Pensacola Beach.